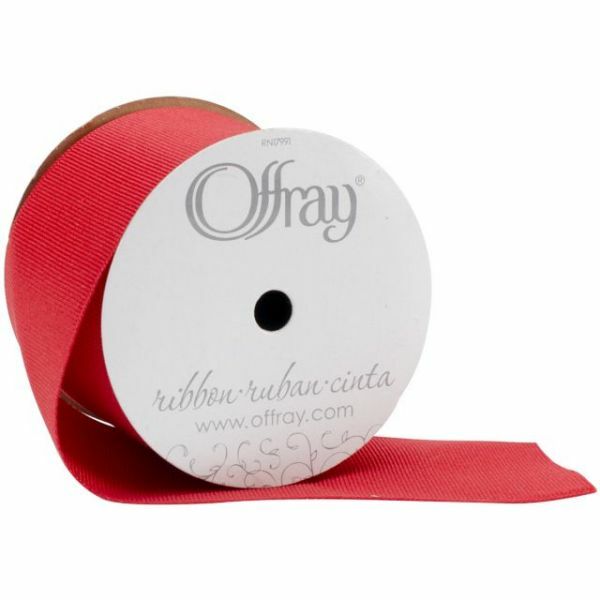 Offray 2 1/4" Grosgrain Ribbon - OFFRAY-Grosgrain Ribbon. Add a beautiful ribbon to presents, clothes and accessories! This package contains one nine foot roll of 2-1/4 inch wide polyester ribbon. Comes in a variety of colors. Each sold separately. Made in USA.